Jesse Lingard has praised the impact Zlatan Ibrahimovic has made since signing for Manchester United in the summer. The Swede joined the Red Devils on a free transfer from Paris Saint-Germain and has so far netted 16 times in all competitions. Questions were asked about the 35-year-old’s age when his switch was confirmed but like so many times before in his career, he has proved his doubters wrong. Zlatan was the hero on Saturday evening as his brace helped secure United a 2-0 win away at West Brom, a result that extended their recent unbeaten run to 10 games. In that time Jose Mourinho’s men have qualified for the semi-finals of the EFL Cup, reached the last 32 of the Europa League and closed the gap on the Champions League places. 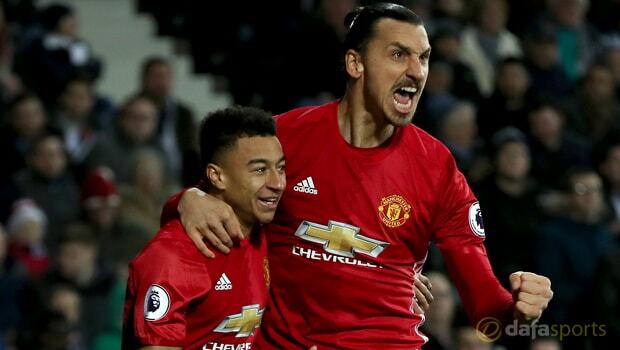 Lingard admits having a player of Ibrahimovic’s quality around has made a huge difference to his side. The England midfielder assisted the Swede for his first goal at the Hawthorns and says the veteran’s performance on Saturday provided yet another example of his class. Ibra will now be looking to continue his form in United’s Boxing Day outing against Sunderland, a game United are strong 1.22 favourites to win, with the draw at 6.00 and the Black Cats available at 12.00.